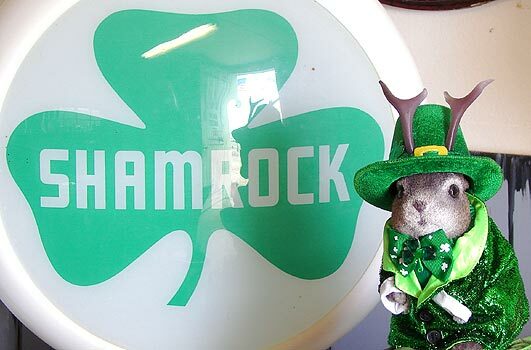 I'm sorry to report that since last year's St Pat's post, Murphy's Pub in Joplin, Missouri, was destroyed by the May 22, 2011, tornado. 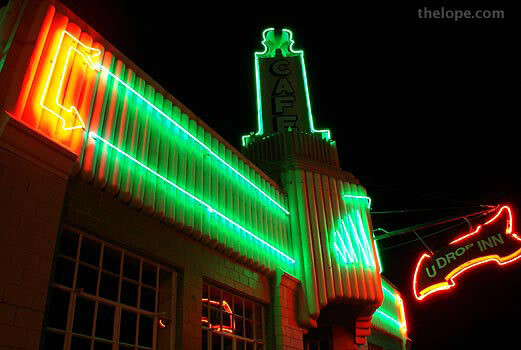 The neon sign had previously been damaged when some idiot jumped up tried to hang off of it. 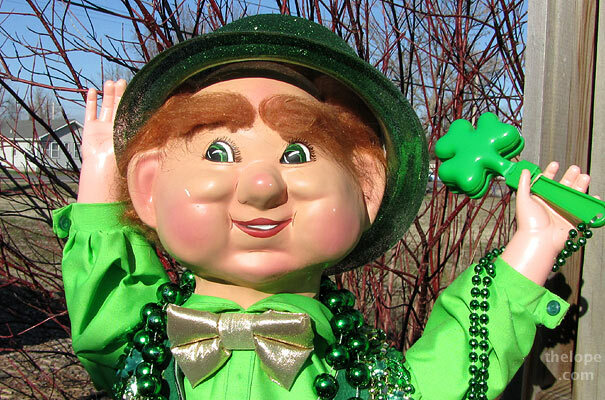 In 2010 showed you a vintage automated leprechaun. 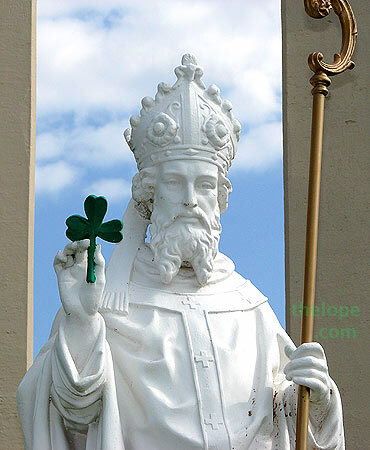 A statue of St Patrick in Great Bend, Kansas starred in our 2009 post. 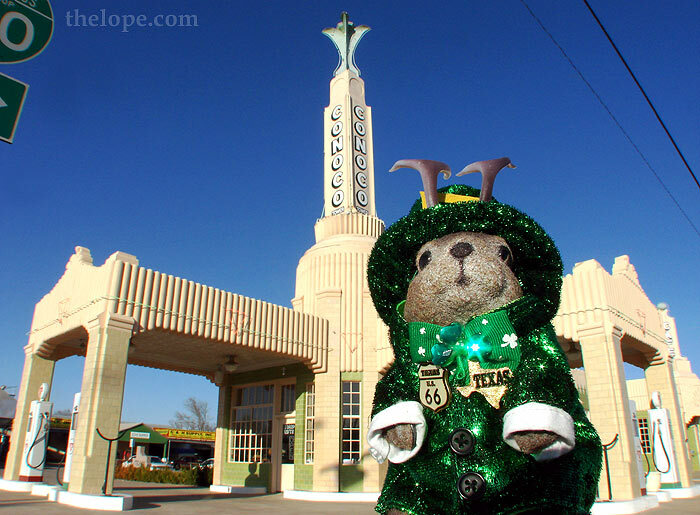 In 2008 we saw Tulsa's Blue Dome district and met a couple of Doxies, as well as looking at Shamrock, Texas. 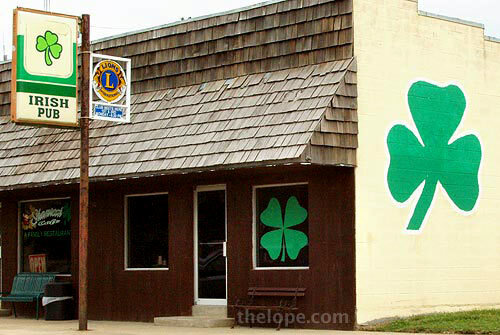 and a pre-tornado look at the Irish heritage town of Chapman, Kansas. 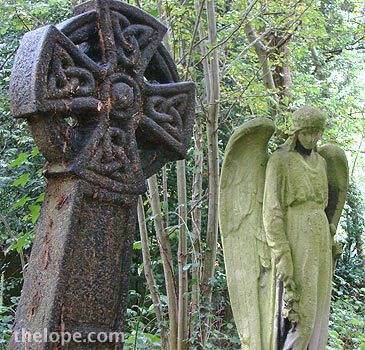 Tornados don't like Irish-inspired things, but then, they don't like much of anything. 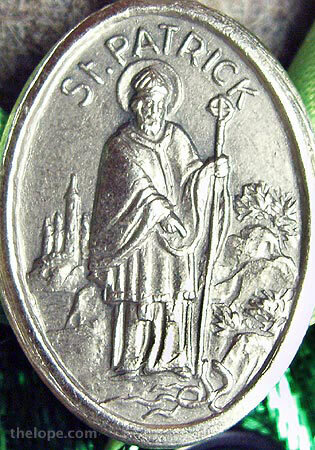 Our 2006 post started out with a rather good account of the historical figure of St. Patrick but then lapsed into Blarney.